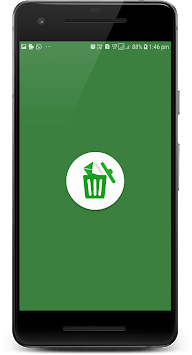 WhatsDelete(WhatsRemoved) is a FREE application to view deleted messages from WhatsApp which are deleted by WhatsApp's feature "delete for everyone"
Notification for the deleted chat(User gets a notification when a deleted chat is detected). 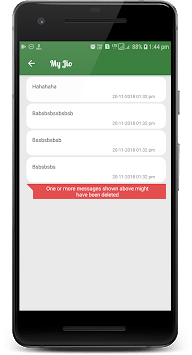 WhatsDelete saves all your messages and detects if any messages deleted, and notifies the user about the deleted message, User can view deleted messages from WhatsApp which is marked as a deleted message. WhatsDeleted for WhatsApp is the newly developed application that helps the user to recover lost chat data if they got deleted intentionally or unintentionally. Important: You need to enable notification access to work this app perfectly. Status Saver: We can Save and Share all the Video and Image Status From WhatsApp. The user can also save (download) and share and view the WhatsApp Video and Image status using the WhatsDelete app. - Built-in image viewer &Video Player. WhatsDelete isn't affiliated with, sponsored or endorsed by WhatsApp Inc. The "WhatsApp" name is copyright to WhatsApp, Inc.